When bringing iconic horror films to life at Universal Orlando’s Halloween Horror Nights, a common question we find ourselves asking is, “How the heck are we going to turn this movie into a haunted house?” But, hey—we’re always up for a challenge. This year is no different. We’re bringing you The Shining. There are so many intense and creepy moments packed in the whole film. So we held hands, took a deep breath, and entered the Overlook Hotel. I can’t wait for you all to see what’s in store for you with The Shining and this year’s event. You won’t want to miss it, so make sure to grab your tickets now. Should be a good time for anyone who gets to go. 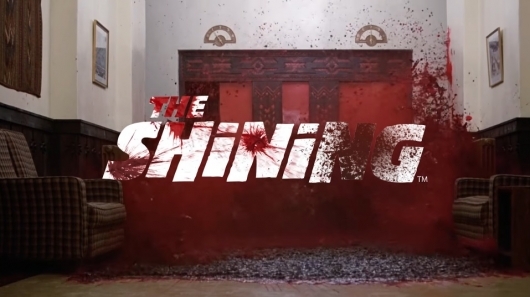 And wouldn’t you know it, today just so happens to be the same day The Shining was released in theaters 37 years ago. Happiest anniversary wishes to one of the great cinematic nightmare-makers from we the Geeks of Doom.